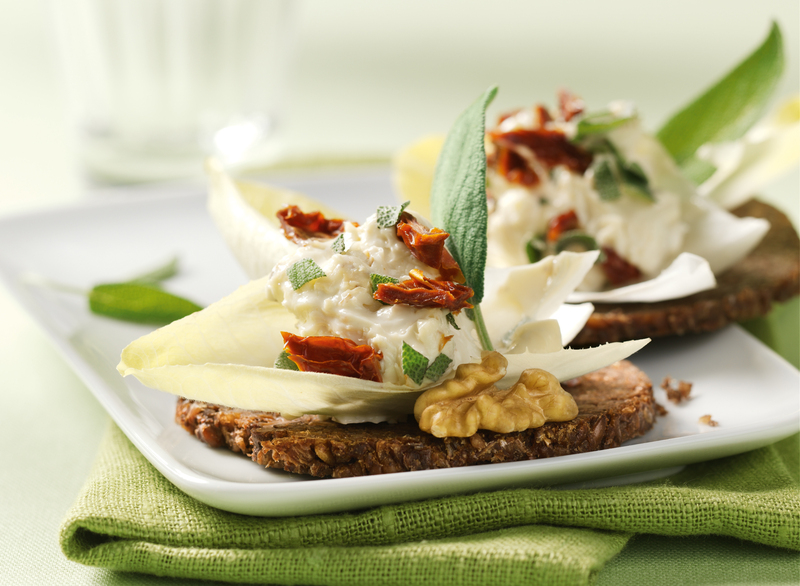 Cut dried tomatoes and sage into small pieces and stir with cream cheese. Remove chicory leaves from the stem. Roast the Mestemacher Mixed Cereals Bread in butter and put chicory leaves on top of it. Put on the cheese cream and spread on the chopped walnuts and pepper. Tip: Also delicious with cream cheese with herb flavour!